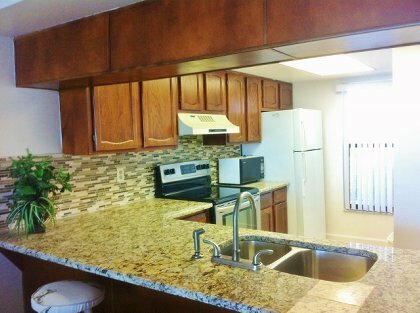 flat top range in kitchen with ceramic/glass backsplash. 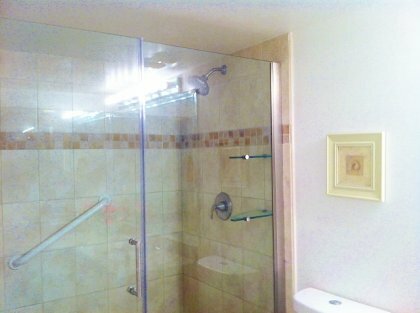 Glass walk-in shower in master bathroom. Tub and shower in second bedroom. New tile in master and guest bathrooms. Fresh verticals on windows. High def Washer in condo. Comfortable furnishing with two recliners and queen sleeper sofa in living room. 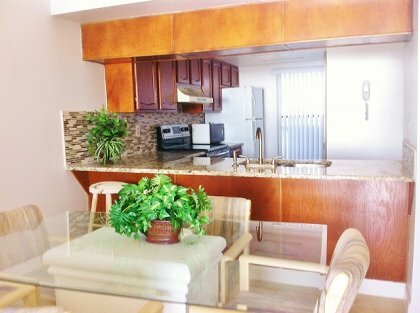 Vacation in paradise close to famous attractions and come home to our private pool and quiet beach. Across the street is an executive golf course and nearby are tennis facilities along with a variety of restaurants and diversified shopping. Public transportation stops just in front of the condo and makes visiting other areas on the Beach easy and fun (about 75 cents per ride). 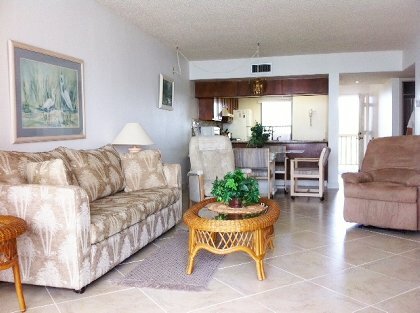 Our Ft. Myers Beach condo rental is privately owned, comfortable and fully furnished, including wireless hi speed internet connection in the condo, basic cable, VCR and movies. Ideal conditions await in a quiet, friendly facility, overlooking the gulf and near to all local attractions, shopping and restaurants. 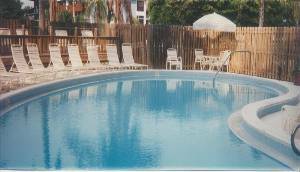 Beautiful pool, lots of deck chairs for sunning, barbecue grill and ample parking make everything easy. A natural sandbar makes shelling easy. Fishing, boating and all the 'fun in the sun' amenities are nearby along with the Ft. Myers Beach Water Park, featuring a zero depth pool for babies and great water slides for little kids! The Casino Cruise ships dock at the Beach Pier. Nothing is missing ... just you! (Smoking is permitted outside on the screened balcony). Extensive DVD-Movie library for your enjoyment. Please Note: Trucks, trailers, vans, boats, watercraft and motorcycles may not be parked on the property. Not far from many local Florida attractions. Movie theater with dining on beach. Casino gambling boat leaves from Fort Myers Pier. Stunning Gulf views, numerous upgrades, immaculate condition, gracious and accommodating hosts--have kept us returning for over 10 years. Tranquil beach or relaxing pool out your door. Half hour walk to Lovers Key State Park. Sunsets from the lanai rejuvenate the soul. Great place. Great value. Great memories! 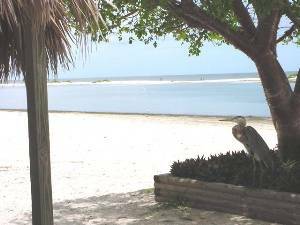 Ft. Myers Beach Condo Rental Policies: All plus 11% Florida Tax. Sorry, we do not accept credit cards. American Funds only. Easter Week, July 4th Week and Christmas Week are $100 more per week. :Prices listed are for up to 4 persons. Please add $50 a week per additional person over 4, up to 6 people :Prices subject to change until confirmed. : Wir sprechen Deutsch. Fragen sie nach Gerd. Cancellations and Refunds: $200/400 totally refundable rental/security deposit, assuming no excessive cleaning or damages. Local calls are included. We recommend your cell phone for long distance calls. In case of a cancellation, all monies will be refunded if unit is again rented for the entire rental period of the lease. We recommend travelers insurance. Other Fees: See "Rates" at top of page.